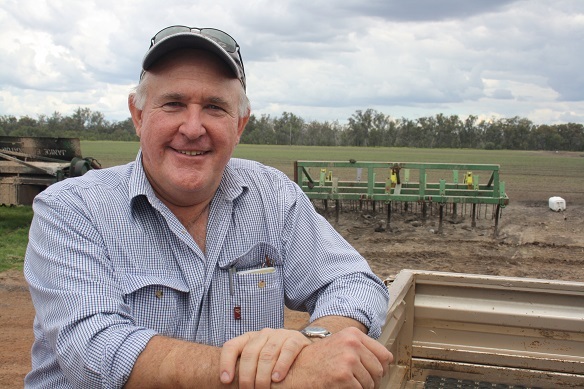 IT HAS sometimes been a bumpy journey, but Darling Downs farmer, Wayne Newton, will have few regrets when he steps down from the position of Queensland AgForce’s Grains president in November. The long-serving voice of the Queensland grains industry has been a steady hand of advocacy not only in Queensland but on the national stage, helping pull together a once-fractured industry and being instrumental in driving policy change at the national level. 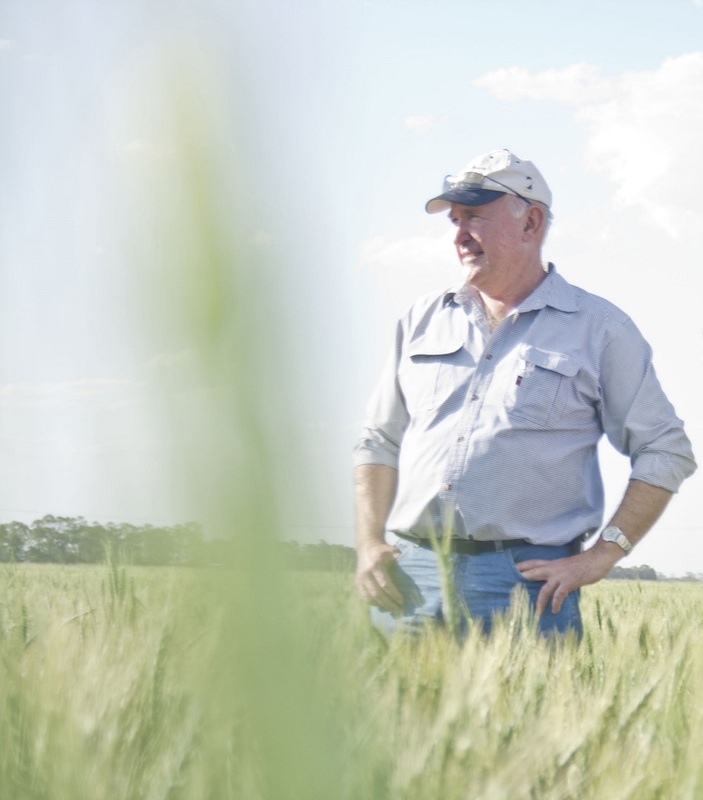 Mr Newton’s introduction to agripolitics came in the late 1980s when Queensland Grain Growers Association director, Ian McFarlane, approached him to be on the organisation’s research and development committee. “I became involved in that and the local branch and one thing led to another. I eventually ended up on the state council of Queensland Grain Growers which started my career in agri-advocacy,” he said. Mr Newton said he had enjoyed the challenge of “trying to convince people in government that we might have some solutions to their problems” and was proud of the many changes AgForce and rural advocacy groups had achieved over the years. “One of the great wins we had was the introduction of a biofuels mandate in Queensland in the last few years. We had been pushing for that for a long time,” he said. “It is still set at a fairly low level. We would like to see it jacked up a bit. “It has given the biofuels industry confidence. We are seeing a whole lot of development being unveiled around Queensland, not just in the grains sector but also the sugarcane industry. Mr Newton said another major win had been the recent introduction by the Queensland government of stamp duty concessions on generational property transfers. But while there had been successes, there was still much to do, such as fighting for better rules and regulations around machinery movements on public roads. “Most properties who have expanded their operations haven’t been able to buy the block next door, so farms have become less contiguous. It means they have to transport big agricultural machinery from property to property along public roads,” he said. “A lot of the rules and regulations were introduced 30 to 40 years ago when machinery and plant was much smaller and easier to move under the old regulations. Mr Newton said transport issues remained an area of policy that desperately needed addressing, particularly for Queensland producers. “We have some of the most expensive and longest corridors to deliver our produce to market, particularly the export markets,” he said. “It has been well borne out that we have a very rundown railway network that is well under-utilised. If governments really did their sums properly, I’m sure it would be far cheaper and efficient in the long run to transport bulk grain to export by rail. Mr Newton said at a national level it was encouraging to see the state organisations working closer together and with a common voice on national advocacy issues. “We can disagree on some things, but we can do that harmoniously. We just agree to disagree. Then we focus our efforts on issues we do agree on,” he said. He said one of the key issues being pursued at national level was the need for far greater transparency of grain stocks information. 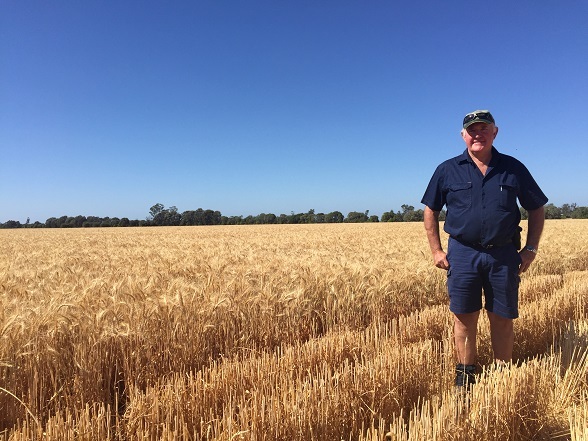 “This drought might bring out the fact we don’t have a good enough handle on how much grain is sitting around the eastern states at the moment,” he said. “We are starting to see significant movements of grain coming from Western Australia. But there is still some residual grain lying around in the east, but we really have no idea how much or where it is. Away from agripolitical life, Mr Newton has been farming in the Dalby area since coming home from school and being “thrown in at the deep end” to run the family farm when his father took ill.
Alongside that, he also became more involved with running his nearby grandparents’ farm. “There were succession plans in that arrangement and I gradually took over some of the ownership there while still trying to run my parents’ property as well,” he said. Back in the 1960s and 1970s farms in the Dalby area were predominantly mixed operations producing livestock and grain, but the beef crash of the early 1970s saw most of the district move over to full cropping. Mr Newton said in those days he ran a conventional, cultivation farming system with crawler tractors. “I did my early hours on little D4s and big gold 2U D8s. That was common practice on the black soil plains around Dalby,” he said. “Back then it was more winter cropping. Barley was the main crop at that stage. There had been issues with wheat and nematodes that hadn’t been nailed down and barley just seemed to be a bit more tolerant and better yielding. While winter crops grown under conventional farming practices had been the mainstay early on, Mr Newton said the farming system began to change with the introduction of more summer crops and the development of more advanced herbicides which opened the way for minimum till and zero till regimes. “To control things like black oats, we were looking to get more sorghum and summer crop into the rotation. But that introduced a whole bunch of other weed control issues with summer grasses. That is when Atrazine became more readily available, so we had to look at better spraying technology. One thing led to another,” he said. “Controlling sorghum after harvest became an issue as it became one of your worst weeds. Being a perennial crop, it just wants to grow again and use up all the moisture. To control it you had to get really aggressive with tillage, and that burnt up your moisture. Mr Newton was one of the early adopters of minimum till and considers it one of the most significant changes to Australian agriculture in the decades he has been farming. “We have seen the mass adoption of minimum and zero till, and controlled traffic. It has really made a massive difference to farming in Australia,” he said. Mr Newton said when it came to innovative and adaptive farming practices, “Australia really leads the pack”. “It is interesting looking at the United States farming scene where they have so much government support, and therefore less pressure on farmers to be at the leading edge of technology and to improve their efficiency. They are much slower adopters of these technologies,” he said. Mr Newton, and his wife, Bev, have made a point of travelling widely overseas and encourage all farmers to broaden their horizons by getting out and seeing how farming is done in other parts of the world. Mr Newton said people often talked about the lack of young farmers in Australia, but he disagreed with that proposition, finding that “where farming is profitable there are plenty of young farmers”. He said it was a far bigger issue in some other countries he had visited. “China has a much bigger issue with young people not coming back onto the land. With their one child policy, regardless of whether they are on the land or in the city, everyone tried to do the best for their children,” he said. “Often that meant they were sent away to university which meant they went to a major city. They don’t want to come home again because they have seen what it is like at home and how hard their parents worked to eke out a living. “When they get a professional qualification they get a job in the city and dad is left at home trying to run the business. It is creating some interesting political discussion in some of these places. There is a huge exodus of people from the rural areas into the cities in China. With retirement from agripolitics looming, further overseas travel is on the cards for the Newtons, especially now their son, Greg, and his family have become actively involved in running the farm business over the past five years. Mr Newton said he saw a bright future in the grains industry for young farmers like Greg. While there were current trade issues affecting pulse exports to India and growing competition in Asian markets from Black Sea wheat, he said rising demand from population growth centres like China and an increasing need for livestock feed augured well for the grains industry. “The future of grain production is looking good with ever increasing demand out of South East Asia,” he said. “There is a lot of demand for animal protein as well. If you travel to China you just see the massive consumption of pork and chicken meats. Beef is minor over there, but there is a growing appetite for it. Australia is well placed to service the higher end demand and niche markets. “Traditionally a lot of our pulse production has gone into India, but we are having some trade difficulties there. But that doesn’t mean they won’t re-enter the market. I think there is growing interest in some of those products even into China. “Again, you don’t have to get the Chinese to eat very much of it. Multiply it by their population and there is huge demand.